England win by 130 runs. We expected a very one-sided game and we weren’t wrong. We just didn’t think it would be this way round. To lose to England in ODI cricket is a bit embarrassing. To lose at home to England is very embarrassing. To lose by the whopping margin of 130 runs is pretty disgraceful. Following a Test series in which England were utterly unable to formulate even the most basic plans against spin bowling, Pakistan must have thought they simply had to turn up, bowl the spinners and collect their victory fridge. In many ways, they were right. Bar Alastair Cook, the England batsmen again struggled against Saeed Ajmal (5/43), Shahid Afridi (2/55) et al. Ravi Bopara was incredibly luckily not to be stumped, and then given out LBW, after he’d made just a couple. But for that one key partnership, Pakistan would have been chasing a distinctly below par score. Wahab Riaz will have to take a certain amount of blame – a couple of very poor overs from him allowed Bopara to get into his stride and England were off and running. But 261 was their target and they never looked remotely close to achieving it. A collective misfiring of the batting is just one of those things that happens sometimes. Nobody really got in, wickets fell regularly and the chase was as good as over inside the opening powerplay. Misbah–ul–Haq (who was LBW yet again) has a calm head, so there’s unlikely to be a mass panic, perhaps just a small adjustment to the bowling attack. Following a 6-1 drubbing in Australia and a 5-0 drubbing in India, another defeat here could easily have set the scene for another whitewash. However, Alastair Cook had other ideas. His 137 was just about the perfect innings for the situation, working the spinners around with a minimum of fuss and rotating the strike, allowing whichever shower was at the other end to get back to flailing around wildly. In some ways it actually brought back memories of Graham Gooch’s legendary 154* at Headingley in 1991 – a lone hand to single-handedly win a match. Having said that, Wahab Riaz is hardly Patrick Patterson. Aside from Cook and Ravi Bopara, the rest of England’s batting was again poor. Pietersen appeared to be batting under heavy sedation before he (and Jonathan Trott) were undone by Shahid Afridi‘s variation while Eoin Morgan batted as if he’d spent a night on the gin, lurching around playing shots at random. And as for Craig Kieswetter, watching him gently play himself in with barely five overs to go made us so angry that we began to feel like Dave Lee Travis during his legendary Noel’s House Party Gotcha. That’s not a sentence we’ve used all that often. With the ball, England were again excellent. While all the bowlers were good, Steve Finn stood head and shoulders above the rest. His opening burst was fast, genuinely fast, with excellent movement. The Pakistan top order were simply blown away. As a bowler (and possibly as a young man), Finn has grown massively since the 2010/11 Ashes. His extra yard of pace, and improved control, make him look like the genuine article. A place in the Test side must surely be his as soon as England go back to three seamers. Although that Bresnan fella might have something to say about that. Of course, we couldn’t possibly let this game pass without commenting on Samit Patel. He made a useful 17* with the bat and then took three quick wickets, a far from disastrous performance. 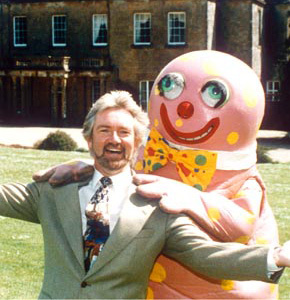 And yet he still moved around the outfield with all the grace of Mr Blobby after a heavy Sunday lunch. We shall continue to make disparaging remarks on our Twitter feed for some time yet, methinks. Samit celebrates another wicket. Or possibly lunch. In the exciting world of modern ODI cricket, this review will also have to serve as a preview for the second game which starts tomorrow. There’s unlikely to be any drastic changes, although England will have a conundrum if Jos Buttler is fit again – he deserves a chance in the side, but who, if anyone, will face the axe to make way for him? Bopara made runs last time out, so it’d have to be either Trott, Pietersen (with Kieswetter moving up to open) or Morgan. If, like us, England want to use gin to help with the big decisions, they could even give Buttler the gloves. If it was up to us, and one day it surely will be, it’d be KP to face the chop – his one-day form has been abysmal for far too long. Ian Bell probably thought he was undroppable too. Whatever happens, we’ll once again be tweeting our way through the day’s play, as if we had nothing better to do until the jobcentre opens. Feel free to join us, or send us your thoughts to our mailbox. Also, if you’re the fella that promised us untold riches in advertising revenue, please email back – we could really do with that cash, as we’ve been reduced to drinking basic Beefeater gin, and no-one deserves that.